Animal print is everywhere and we’re showing you exactly how to rock it. In case you haven’t noticed, animal print is EVERYWHERE right now! It can be found in all of your favorite stores and all over Instagram! Let’s just say, I’m not mad. Animal print is awesome because you can use it to make your look as wild (no pun intended) as you’d like it to be. Most prints are neutral so they can be worn subtly, or you can go for a more bold or colorful print — it’s up to you. Some of the popular prints this season are snake, leopard, deer, zebra, tiger and giraffe. 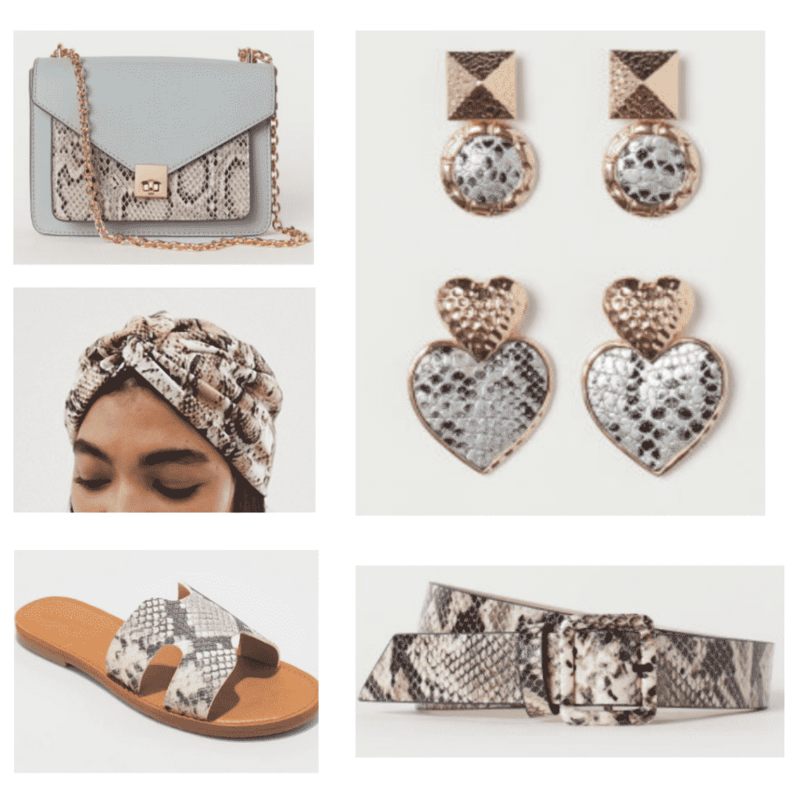 I’m gonna focus this post on two specifically, as I feel they are the most universally wearable: snake print and leopard print. Snake skin on snake skin on snake skin! Kim Kardashian looks sleek in a head to toe snake print look. The fact that Kylie Jenner chose this snake print suit for her Forbes photoshoot speaks volumes. She looks like a FIERCE lady boss who is also totally on trend. Just when you thought a snake print bikini couldn’t get any better, it comes in neon! Hailey Bieber kills the snake skin trend while spending time in the sun. 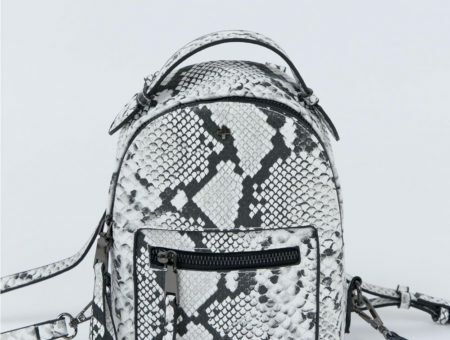 Here are some options for a snakeskin print look from top to bottom. Snake print can be taken from a formal event to the beach! And don’t worry, just like Hailey Bieber you too can rock the neon snake print! If you’re feeling like you want to add just a hint of snake print to your look, here are some great accessory ideas. Because the majority are black, white, and tan shades, they can be w with colors or kept neutral. Katy Perry is known for her bold, fun sense of style. She looks WILD in this leopard print outfit. Kourtney K is ALL IN with this look! If you had any doubt that she supports this trend, she found a leopard print sofa to take a picture on. Jessie James Decker not only loves to wear leopard print herself, but she wants other people to wear it too! This is an inside look at her leopard collection for her clothing line “Kittenish”. Seems fitting, huh? Has leopard ever gone out of style?! This print is contagious and just as some of our fave celebs did, you can layer it as much as you want. Leopard print can be found in a wide range of colors so you can easily adjust it to your outfit’s needs. 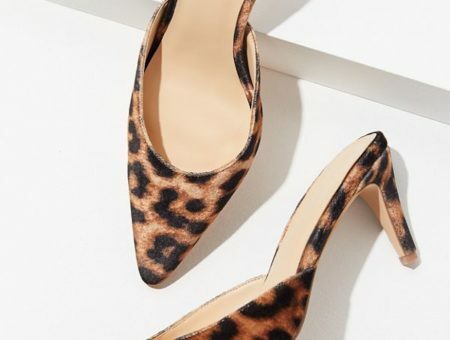 Make a statement in one of these affordable leopard options. Even the smallest addition of leopard print will add some flare to your look! Here are some fun accessory options for when you want to spice up your outfit. Let’s be real, leopard print can only enhance your style. Which of these prints is your favorite, snake or leopard? How do you like to style animal prints? Leave a comment below!